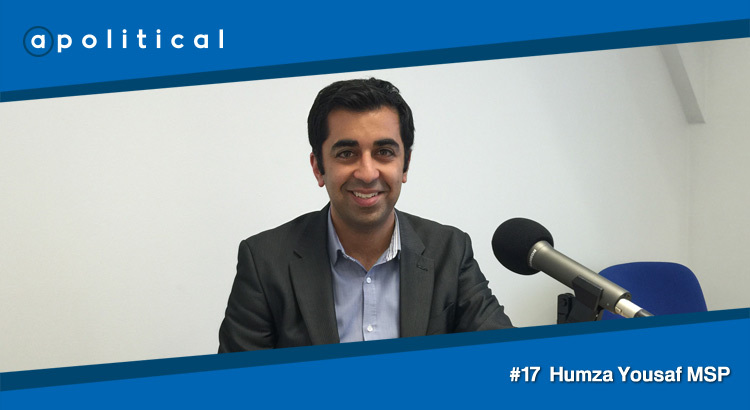 In Episode 17 of Apolitical we speak with Humza Yousaf MSP, Minister for Europe and International Development in the Scottish Government. We chat about his meteoric rise as a politician; the migration crisis in Calais; faith in politics and the way Scotland’s International Development budget is used. • His assessment of where the case for and chances of Scottish independence stand right now.